Supercars are expensive—until they’re a few years old. Today, many big-dollar, big-power rides can be had for less than you think. In the automotive marketplace, depreciation is a wonderful thing—depending on where you and your wallet stand to benefit from it. Someone else’s loss can be your gain, especially when it comes to the world of used supercars. Many high-performance, highly-coveted machines make compelling used car choices after just a few years. Here’s a look at some of our favorites. Read more about the 10 Supercars That Are Surprisingly Affordable Used. Did anyone else get the link to work? Didn't work for me...seven too many redirects. This is a year old article and the prices are questionable but it does have the Espirit and the Elsie, plus the Vette ZR1 with Lotus help. %3Cspan%3Ehttp’s server DNS address could not be found. 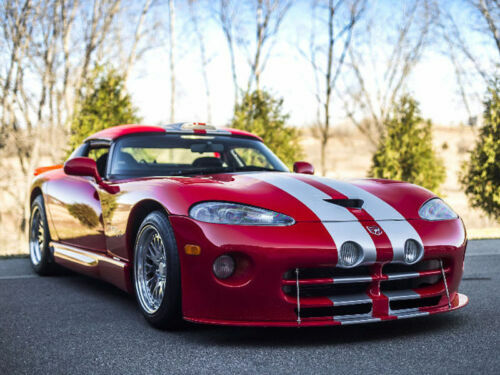 A 1999 Viper is one of the worst cars I've ever driven. If you dont mind sitting just in front of the rear wheels a C6 z06 is simply unbeatable at 50k for a great one. Ferrari 599s are in the low 100s and am vanatge V8s under 50k. If yoiure going in on a budget thought it needs to be a car that wont break the bank maintanance wise(over decades) and one that if you keep for 10-20 years is likely to appreciate. I think then as a keeper its pretty hart to beat a stick aston vantage v12. Another pick would be a ferrari 458 when they get below 120k, by then there should be indy specialists who know how to keep them running. The audi the R8 but with v8 and stick is a another potential keeper.. The best exotic to drive, the car that can do everything well, that wont break the bank, to buy or keep is an elige. 25-40k depending on spec, toyoita reliability and superlative performance. In time these cars will be reckognised for what they are and like a renault R5T2 or a stratos prices will be above 100k, plus while you may struggle getting in and out you'll never get bored of driving it. Having owned a few exotics and driven a good few over the years I can saftely say Lotus is the answer. Last edited by boxerman; 05-22-2017 at 07:54 AM. Too bad the link does work. I was kind of curious to see what was on the list. And what about the Ford-Mustang!? Great car but not a supercar.